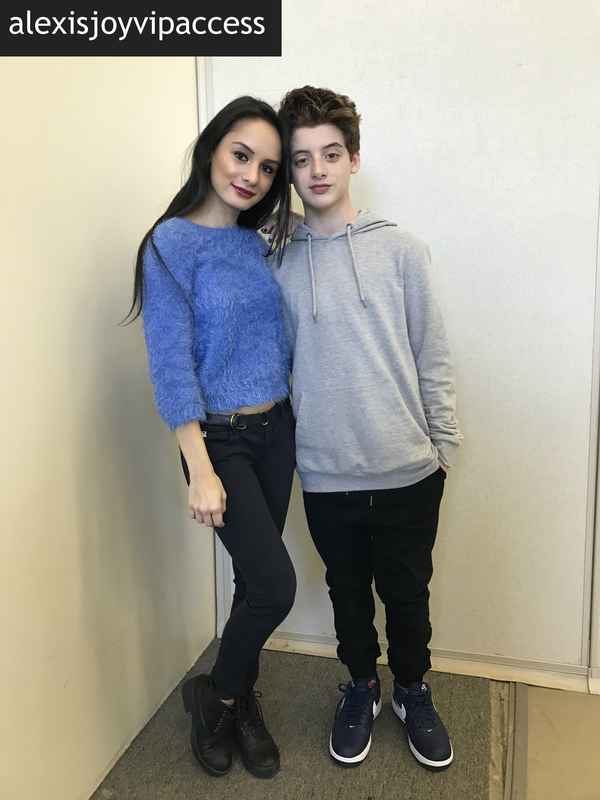 VIPAccessEXCLUSIVE: The Extraordinary Thomas Barbusca Interview With Alexisjoyvipaccess At Chandler Kinney’s Gift-wrapping Event! What better way to start off 2017 than with an incredible and hilarious show that stars the one and only, brilliant actor Thomas Barbusca?! We couldn’t think of anything better, either. 2017 kicked off the right way, or shall we say the Mick way with the much-anticipated premiere of FOX’s all new show, “The Mick.” Now, as the many phenomenal episodes have been airing and making every one of our Tuesdays a whole lot better, we all can proudly say that this show is definitely our new TV show obsession and we can definitely thank Thomas Barbusca for that. We all know Thomas Barbusca for being one immensely talented and remarkable actor who brings his raw and genuine acting gift and his exceptional energy to every project that he works on. Thomas Barbusca has been in a countless amount of highly-acclaimed projects including the fan-favorite movie, “Middle School: The Worst Years of My Life,” as well as in hit shows such as “American Horror Story,” “Wet Hot American Summer: First Day of Camp,” amongst many others, and his unforgettable Geico commercial as Peter Pan. It’s clear to see that Thomas Barbusca is one versatile actor who can take on any role so magnificently. I, Alexisjoyvipaccess had a fantastic time at Chandler Kinney’s gift-wrapping event and had a great time catching up with and interviewing the sensational Thomas Barbusca again at the event. Thomas Barbusca dished exclusively to Alexisjoyvipaccess all about what it is like for him working on set of “The Mick,” what his favorite episode is from the show, what his dream role would be to portray, and so much more only in our VIPAccessEXCLUSIVE updated interview. Thomas Barbusca even took on a fun speed round and spilled on what his dream car is, what his favorite thing is about his “Middle School: The Worst Years of My Life” co-star, Griffin Gluck and more – hear what he had to say in our VIPAccessEXCLUSIVE updated interview below. Thanks for another fun interview, Thomas – always a blast chatting with you! Check out my updated VIPAccessEXCLUSIVE interview with the spectacular Thomas Barbusca at Chandler Kinney’s gift-wrapping event below! Previous VIPAccessEXCLUSIVE: The Brilliant Brielle Barbusca Interview With Alexisjoyvipaccess At Chandler Kinney’s Gift-wrapping Event! Next VIPAccessEXCLUSIVE: The Remarkable Angelica Vale Interview With Alexisjoyvipaccess At Telemundo’s “La Fan” Press Junket!